Are you ready for tomato season? TomatoJam 2018 is returning to South City Kitchen Vinings (SCKV)! This limited-time-only special menu will be offered from Wednesday, June 27th through Tuesday, July 10th, to celebrate summer’s favorite fruit-not-vegetable. Reserve your table today and prepare to taste mouthwatering dishes. The tomato-centric dishes will be available in addition to the regular dinner menu. Reservations for TomatoJam 2018 are available at 770.435.0700 or simply click here. 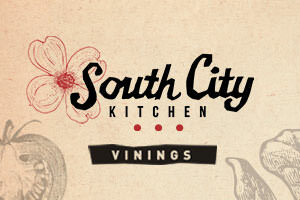 South City Kitchen Vinings is located at 1675 Cumberland Parkway, SE, Atlanta, GA 30080 in One Ivy Walk at the corner of Atlanta Road and Cumberland Parkway. "Aaron did such a great job. He is efficient and professional. 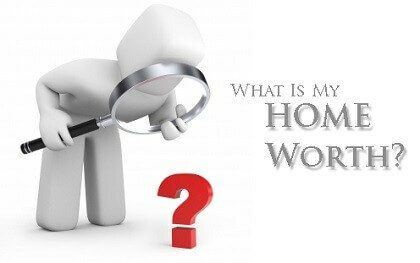 Once we got our house on the market, immediately we had agents making appointments to look at our house. A little over a month we had an offer. Aaron sold our house much quicker than we had anticipated. We would definitely recommend him to anyone." We had a wonderful homebuying experience with Aaron. He is very prompt to return emails and phone calls. He was always available to answer our questions and offer advice. He made sure that we had all the little details in our contract and made sure that everything was taken care of before our closing. We also know that even after purchasing our home, that we can still reach out to him. My mom also used him during her purchase as well and had a good experience too! I had a great experience with Aaron doing my short-sale. He really helped to break down the process and left me feeling a little more comfortable with the entire process. It was nice to have someone like him to deal with the negotiations with the bank and I felt like he looked after my best interests. Would definitely recommend him to someone in metro Atlanta again. I have worked with Aaron on several occasions while looking for a home in Smyrna. It was great to pick his brain because he is very knowledgeable about the area, and I trusted his judgment. He is professional, experienced and is there when you need him. I had previously worked with an agent who was not as knowledgeable or experienced so Aaron was a real treat! I have already recommended him to my daughter (who used his services and was also pleased) and friends. Best Realtor ever! He is incredibly helpful, professional, personable, understanding, patient, and reliable. We had to search for months through countless homes until we found the one we love, and Aaron was there supporting us every step of the way. He is awesome! Look no further for the perfect Realtor. 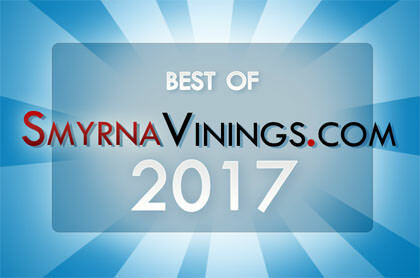 © 2019 Smyrna Homes – Smyrna Vinings Neighborhoods. All rights reserved. Theme by Solostream.